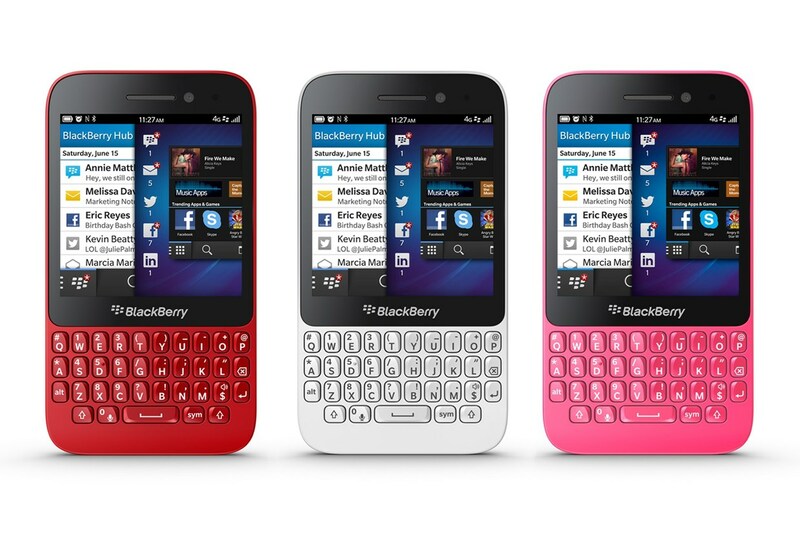 Unlike the BlackBerry Q10 model, the casing of BlackBerry’s Q5 is made of polycarbonate. 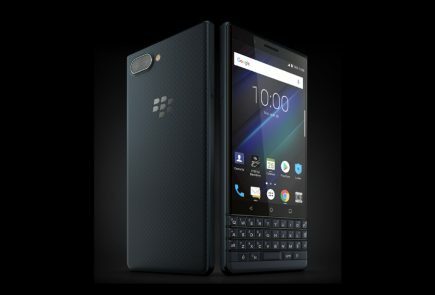 At first glance the BlackBerry Q5 could fit well into the Curve line thanks to the classic BlackBerry design and separated Curve-style keys, but once started up it’s obvious this is a new device for a new set of BlackBerry users. It’s immediately obvious that this isn’t a premium device, with a sizeable bezel above and below the screen, and then a chunk of plastic below the keyboard too. 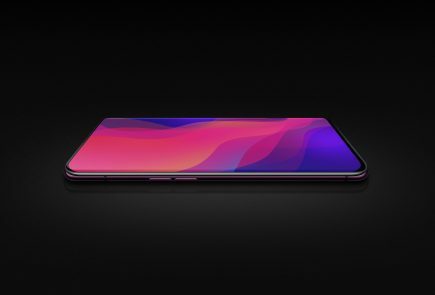 This is utilitarian design sends the message that this smartphone is a workhorse, not a peacock. The casing is sealed, so you can’t get at the battery, but there’s a flap at the side for swapping your SIM and microSD cards. The volume buttons on the side flank a button that activates voice control. There’s also a power/sleep button and 3.5mm headphone jack on top and a microUSB power/sync port on the side. Overall, the build quality is solid, but the design feels dated. 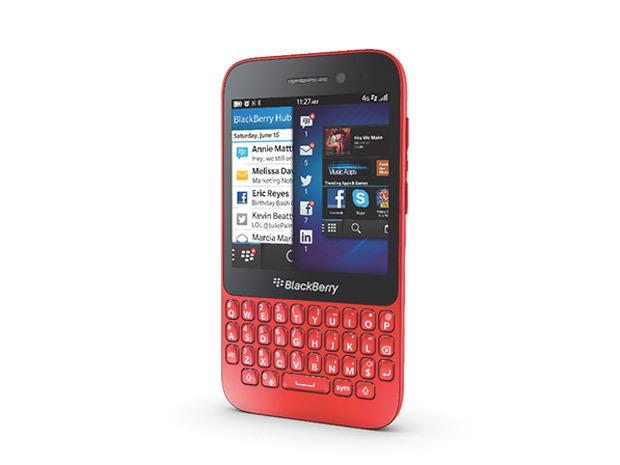 Of course below that rather square screen you’ll also find a 35-key physical QWERTY keyboard, which sports isolated keys instead of the side by side layout on the BlackBerry Q10. As opposed to the SuperAMOLED screen of the Q10, the BlackBerry Q5 has an LCD screen which is what we’ve been accustomed to in the past. Because the screen is square, you can’t turn the phone on its side to improve your browsing or video-watching experience either, as you can with most other smartphones. The resolution of the BlackBerry Q5 screen is 720 by 720 pixels (329ppi), which is why everything on it, from graphics and photos to small text in web pages, looks sharp and detailed. The colour representation is neutral, which is actually a good thing as all hues are as saturated as they should be. All the standard features for consuming music, video and photos are included on the BlackBerry Q5, so you won’t be left completely in the lurch here. The music player app may not feature any of the bells and whistles you’ll find on some other smartphones, it’s a functional and intuitive offering. 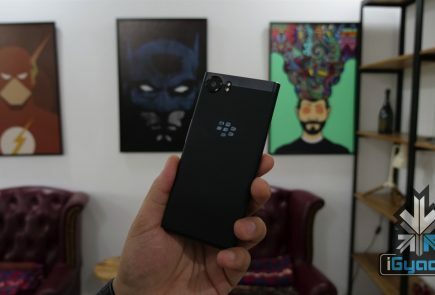 The BlackBerry Q5 does come with a dedicated video app, which thankfully means you don’t have to scrabble around in the gallery to find your clips – and its basic, unfussy design makes it easy to find what you want. Once again where BlackBerry 10 seems to excel is in the web surfing department, and while the BlackBerry Q5 may not be quite as fast as the BlackBerry Z10 and BlackBerry Q10, it still puts in a decent performance that it can be proud of. The Canadian manufacturer makes cutbacks in the primary camera and installs a 5 MP lens. Although it also features an f/2.4 aperture as well as autofocus and LED flash like the Q10, the picture quality is not satisfying. The pictures exhibit intense image noise, look milky and lack focus and brilliant colors even in well-lit rooms. All in all, the camera modules cannot compete with the contenders. The front-facing camera rings in at just 2MP – just barely enough for decent Skype or BBM Video and maybe a selfie or two. The short of it – don’t expect too much from the cameras on the BlackBerry Q5. In terms of call quality, the BlackBerry Q5 has a decent volume, meaning you shouldn’t have trouble hearing the person at the other end of the line, even if you’re in noisy surroundings. The clarity of voice did become a little distorted as the earpiece volume was turned up, although we were still able to understand what was being said. 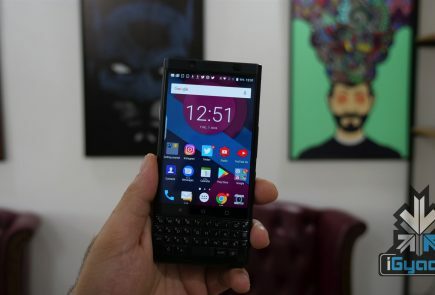 We found the BlackBerry Q5 was able to hold onto signal pretty well, with no dropped calls experienced during our review period. 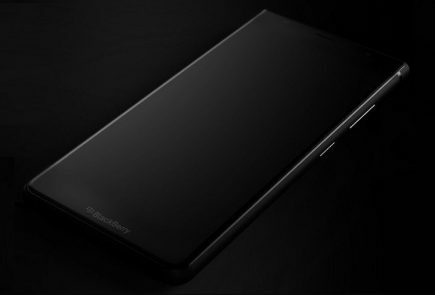 The 2180mAh battery in the Q5 is one of the largest to date in a BlackBerry and it’s big enough that most days we don’t need to worry about swapping a battery anyway (not that we can). We found that it kept going even on our busiest days. 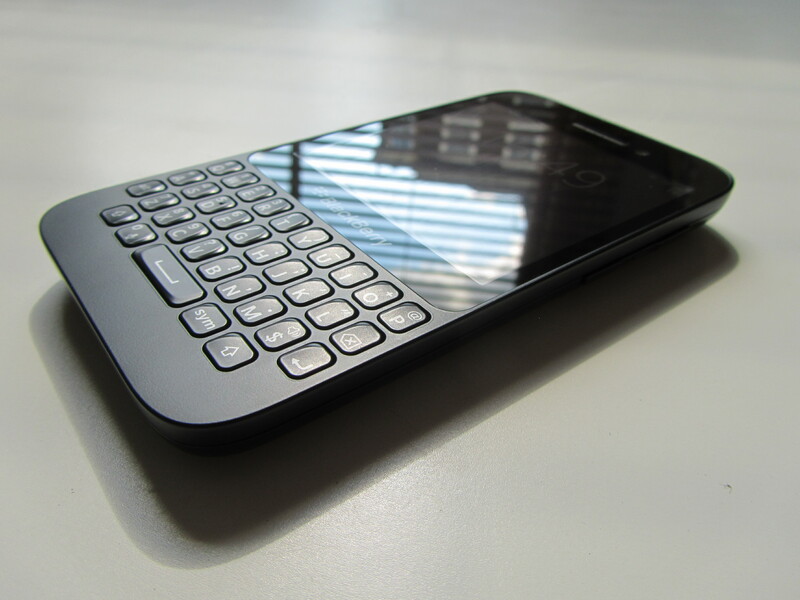 If you’re a diehard Qwerty fan looking for a mid-range device, the BlackBerry Q5 may hold some interest. The screen is sharp and sensitive, even if it’s an unusual shape. 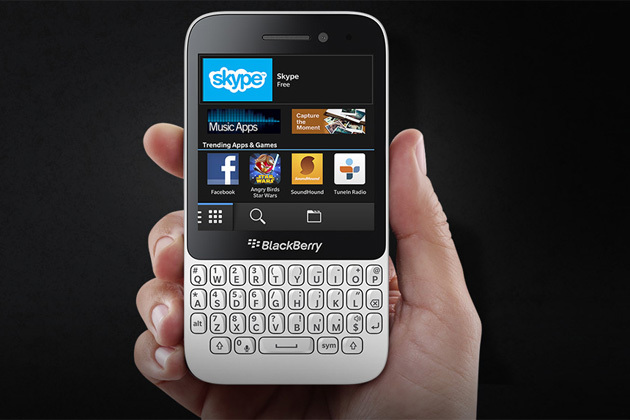 The keyboard is excellent for messaging and the BlackBerry 10 OS is fast, slick and easy to get the hang of. However, build quality isn’t inspiring and while BlackBerry 10 is smooth with good features, a shortage of apps remains a downfall. 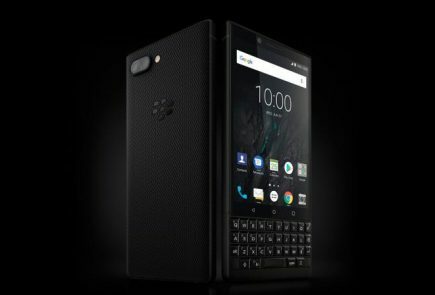 The BlackBerry Q5 obviously won’t be competing with more modern devices, but for BlackBerry users on a budget or those looking to get started with BlackBerry 10, the Q5 is a good option.